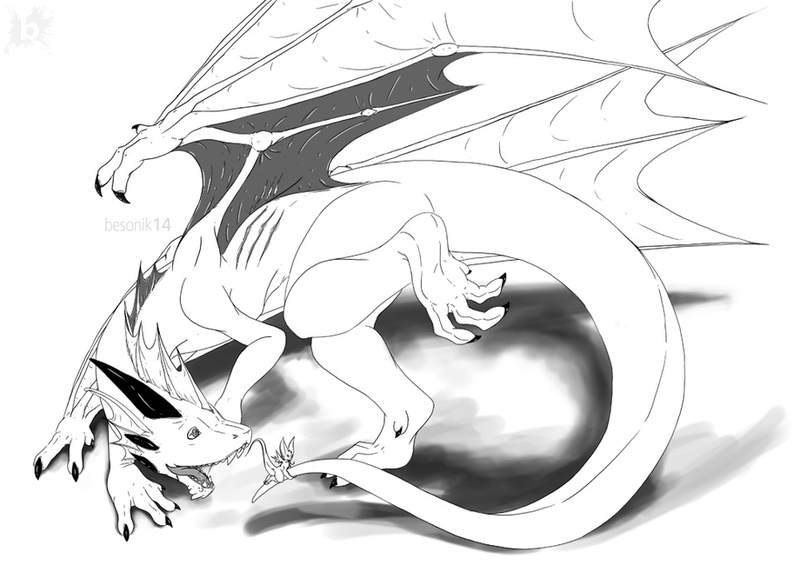 A random dragon for Jin from SoFurry. Nether dragons love making larger dragons chase their tail... not sure why. Nether dragon going for a piggy tail ride. how cute!! !